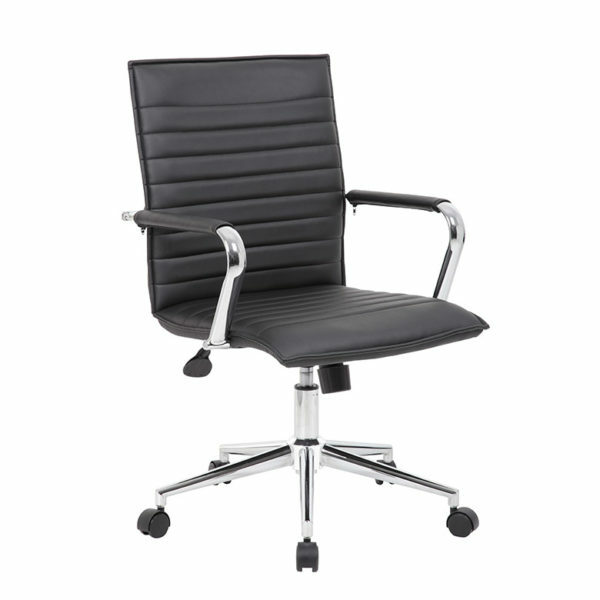 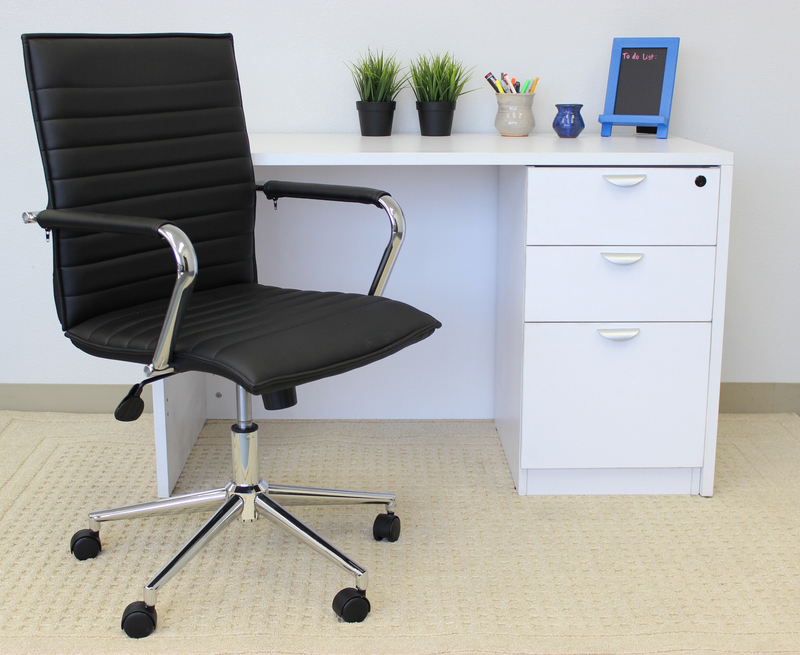 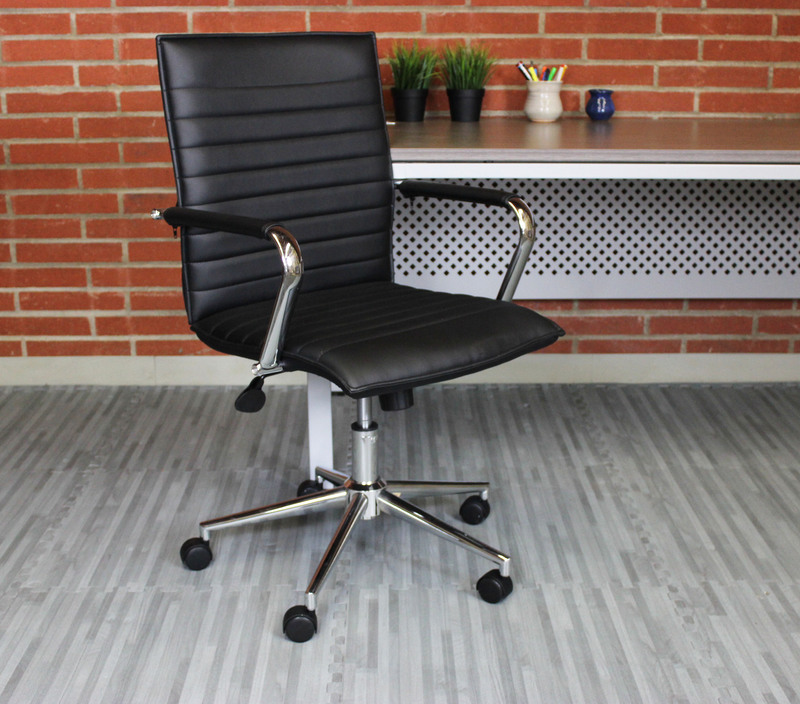 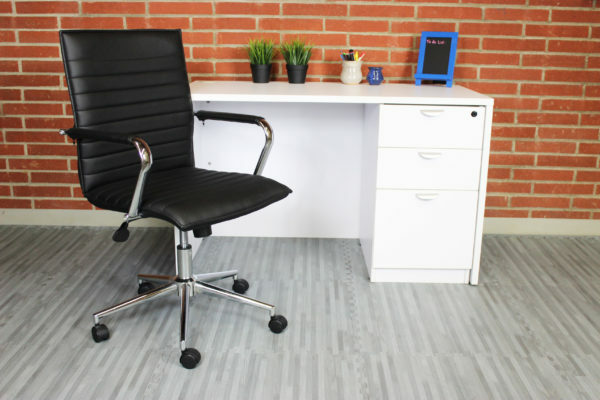 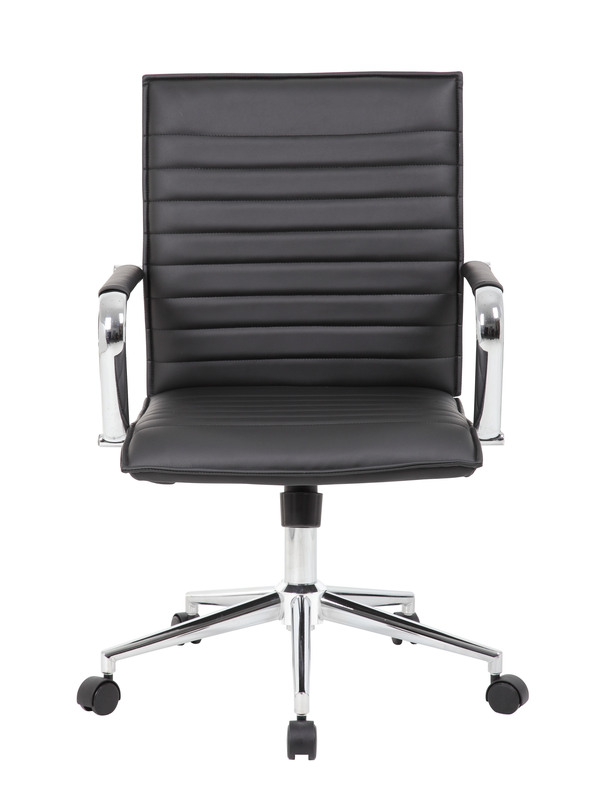 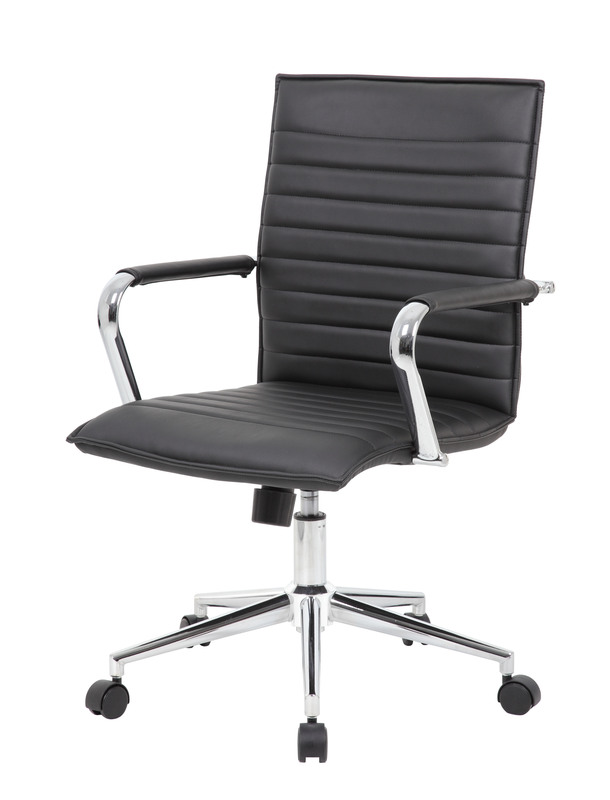 This task chair in black vinyl is designed with fixed chrome arms for that pop of metallic color that brings any room or office to the next level. 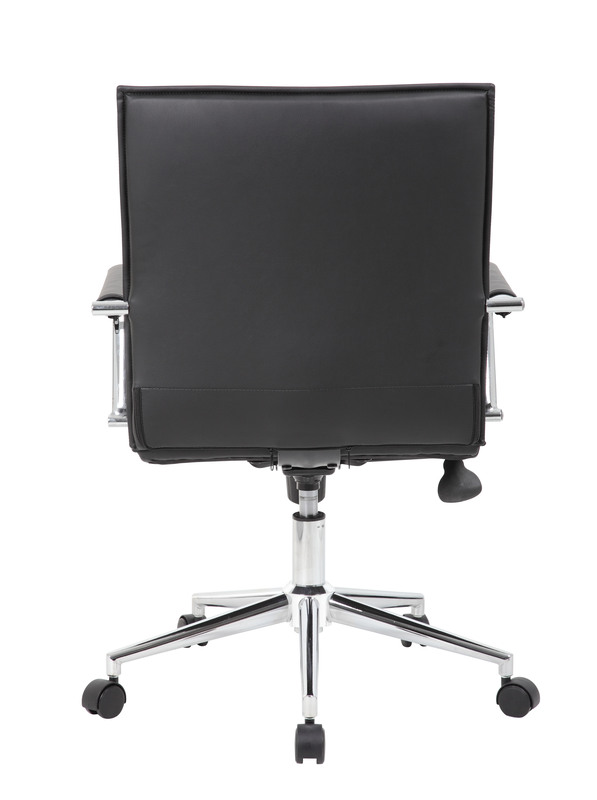 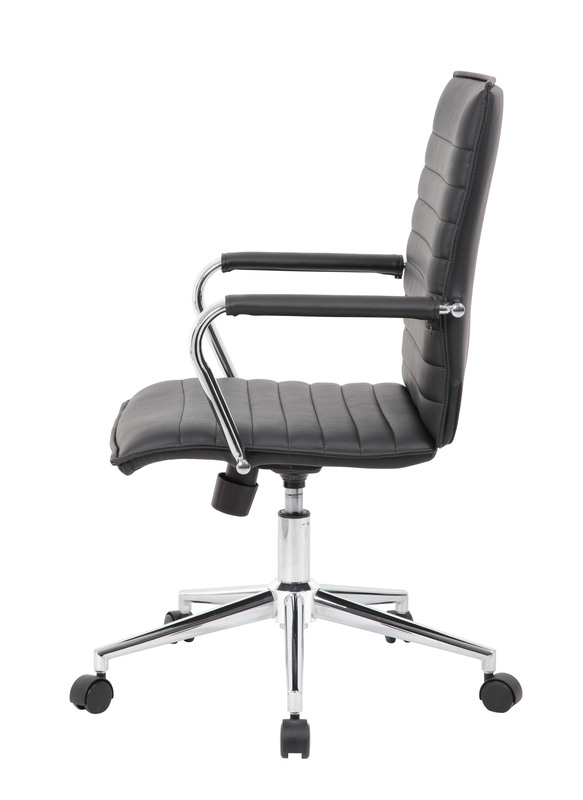 The chair also features a gorgeous and strong chrome 25 inch base with 2 inch nylon dual wheel castors. 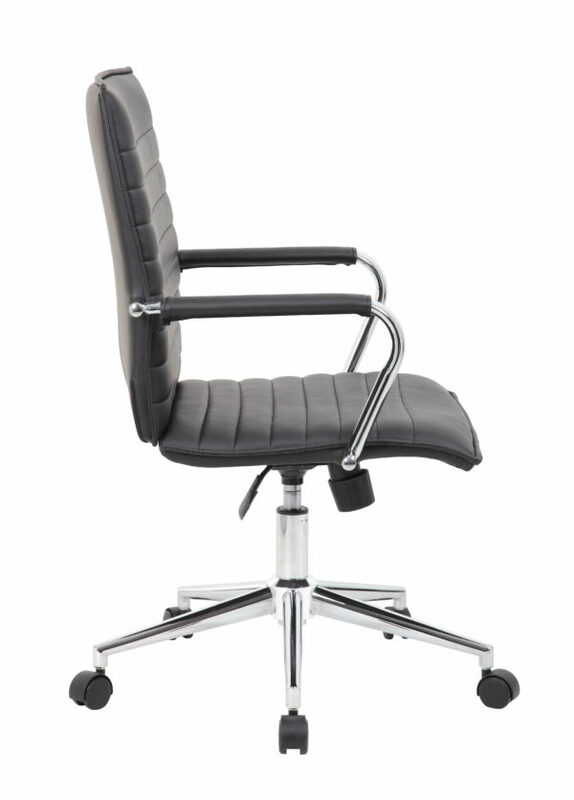 In addition to looking fantastic, the chair also features a spring tilt mechanism, a pneumatic gas lift for easy height adjustability, tilt tension and an upright lock, while also boasting a weight capacity of 275 lbs.